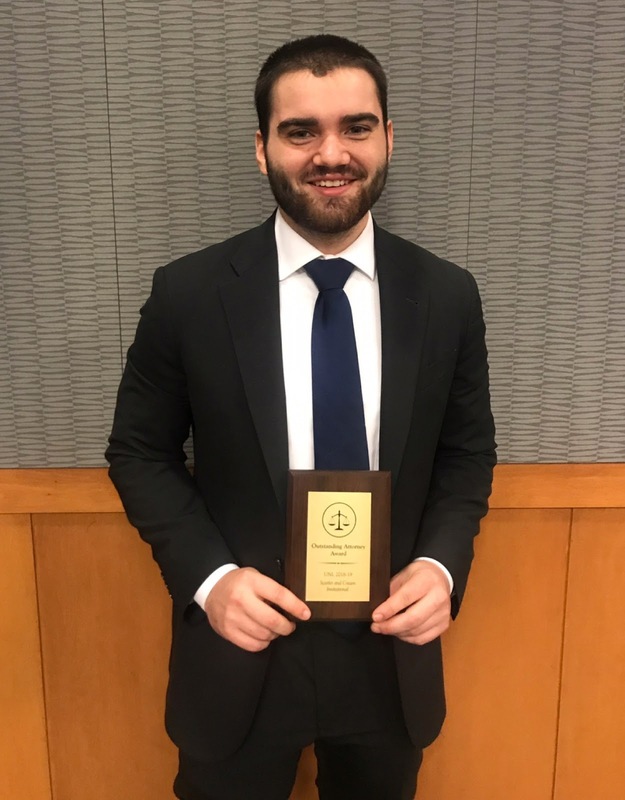 The University of Illinois Springfield Mock Trial team received the Spirit of AMTA (American Mock Trial Association) Award at the first-ever Scarlet and Cream Invitational hosted by the University of Nebraska. According to the American Mock Trial Association, since 2000 it has awarded the team that best exemplifies its ideals of civility, justice and fair play with the Spirit of AMTA Award. The Spirit of AMTA is awarded to only one team at each tournament and is voted and scored by competing teams. 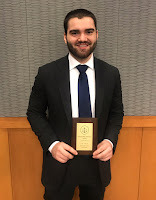 In addition, senior Andrew Jarmer of Springfield, was recognized with an Outstanding Attorney award for his competition performance. The UIS Mock Trial team placed among the top eight teams in the competition. Members participating include Andrew Jarmer, Adeola Babington and Jade Sisti of Springfield, Chance Austin of Rochester, Jenny Viramontes of Carpentersville, Alexis Campbell of Chicago, Joseph Partain of Iuka and Trenton Newbury of Anna. Mock Trial is an academic competition that provides students with the opportunity to hone valuable skills, including critical thinking, active listening, public speaking and teamwork through trial simulations. Competitors are also judged on their knowledge of legal practices and procedures. The American Mock Trial Association serves as the governing body for intercollegiate mock trial competition across the United States. AMTA provides a forum for more than 5,300 undergraduate students each academic year. For more information on the UIS Mock Trial team, visit their website. Questions may be directed to coach Rex Gradeless at rgrad3@uis.edu.